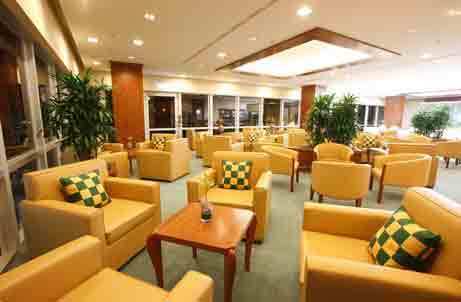 Emirates has airport lounges in Auckland, Bangkok, Beijing, Brisbane, Dusseldorf, Frankfurt, Hong Kong, Johannesburg O.R. Tambo International Airport, Kuala Lumpur, London Gatwick, London Heathrow, Melbourne, Mumbai, Munich, New York ­ John F Kennedy, Paris ­ Charles de Gaulle, Perth, Singapore, Sydney and Zurich. Here's a photo of the Emirates airport lounge in Dusseldorf, Germany. Emirates opens an airport lounge at Johannesburg O.R. Tambo International Airport. At the same time plans are announced to open Emirates airport loungest in Birmingham, Hamburg and Manchester.